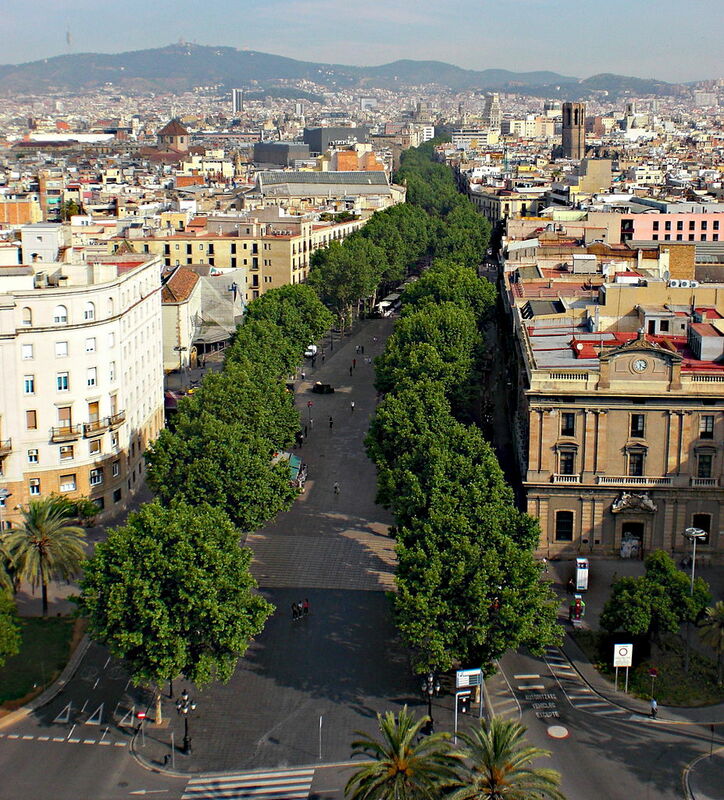 Everyone knows that you must visit Las Ramblas at least once on your trip to Barcelona. However, there are so many people around who always seem have the same idea, making the big sights overcrowded and chaotic. So why not try to catch a glimpse of the sights no one talks about and avoid the crowds? Below you’ll find a few tips and tricks to experience Las Ramblas off the beaten track. Just off Las Ramblas, near Plaça Catalunya, you will find a small plaza, rich with old city history. Plaça de la Vila de Madrid is home to a roman necropolis dating back to the 2nd century. This beautiful square is contains around 70 tombs that were originally built outside the old city, Barcino. This is a secret treasure that is not often visited by tourists in Barcelona, and one to see while you are exploring Las Ramblas. 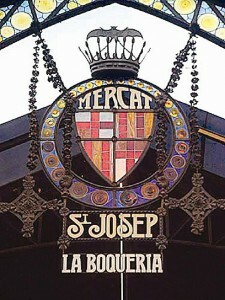 Many people visit La Boqueria market, the most iconic fresh food market in the city. It can get very busy during lunchtime, but what many people don’t know is that you can get some great deals if you go right before closing. Skip the market during the day and head over around 5pm. You will find that many of the vendors are willing to give you a deal, especially on the fresh fruit. You can get great prices like 3 for 1 juices, too. You may have to practice your haggling techniques but if you are feeling bold you will definitely be able to leave with some great snacks and unique memories. This legendary fountain is rumored to serve an ounce of magic along with its water. 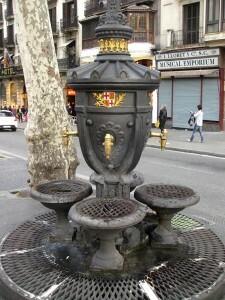 The old legend says that if you drink from the fountain it is guaranteed that you will return to Barcelona. Every day passers-by stop for an enchanted sip of water. Another secret use for the fountain is a wash station for your freshly bought fruits and veggies from La Boqueria. Grab an easy lunch of cheese, jamón, avocado, tomatoes, and maybe a fresh peach, take it all to go then stop by the fountain and give everything a good rinse before finding a nice corner in Plaça Catalunya or Port Vell to have a little picnic. Many people go on the daily guided tours of the Liceu Theater to learn about its long history in the Catalan capital. For a unique experience that is certain to host more locals than tourists, attend an opera or ballet show here. Tickets can be quite affordable if purchased at the right time and you can give yourself a quick tour during the intermission. You can escape from the hustle and bustle of Las Ramblas into the theater for the evening and enjoy one of the many world renowned shows that are performed here. Don’t worry about getting out too late because Las Ramblas is the street that never sleeps in Barcelona. This entry was posted in Home, Things to do, Tourist Guide and tagged barcelona, barcelona attractions, barcelona tourist guide, Canaletes fountain, La Boqueria, las ramblas barcelona, off the beaten track, things to do in barcelona, tourism in barcelona, visiting barcelona. Bookmark the permalink.